Custom Prosthetics by Joseph Reagle, M.S. C.P.O. 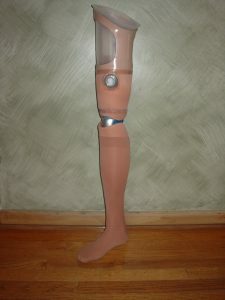 In order to fabricate a proper-fitting prosthesis, a good cast must be obtained; modifications made using a bank of knowledge acquired through education, experience enhance these measurement techniques; followed by a successful test socket fitting. it is our goal to provide each patient with the most comfortable prosthesis to meet their daily needs. Below is a summary of prosthetic services offered at Custom Artificial Limb & Brace, Inc.